Hard to believe but a sad reality: Even in major cities in the United States, power outages from one second to the next are not uncommon, whether because of the wild mess of overhead cables stretching between houses in the City of San Francisco (Figure 1) or because the electrical infrastructure of the substations is outdated and starting to crack under the strain. You should always expect the worst as a smart homeowner and implement strategies, just in case the power stops flowing for a few hours. Even if you live in a country with a more stable power supply, you will still appreciate the fail-safes introduced here. Then, if a shrewd burglar takes the precaution of removing a fuse before invading your privacy, they will definitely get a good scare when the alarm still goes off! 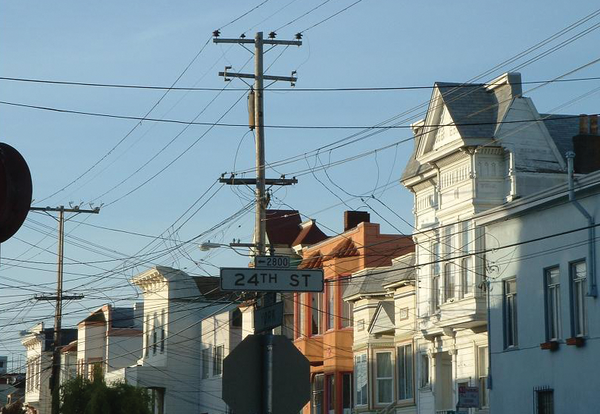 Figure 1: San Francisco: Supplying power through a bird's-nest of cables can lead to failure. In case of an outage, I want my key automation components, such as the controlling hub and its connection to the Internet – including the path thereto encompassing the router and cable or DSL modem – to continue working without electricity. If you limit yourself to keeping just a few essential components alive during a power outage, the consumption adds up to just a few watts; even a cheap battery-backed emergency power supply for less than $50 can keep this minimal infrastructure alive for a while. Devices known as uninterruptible power supplies (UPSs) typically specify their characteristics in volt-amperes (VA), which is unfortunately not sufficiently helpful to answer the most fundamental question: How long will they keep a consumer with a known power consumption rate running? To find out, you need to know more about the fundamentals of the internal batteries and plug this information into a formula  that will give you the number of minutes to the point of exhaustion. Initially, I bought a cheap UPS for $30, but it kept bugging me with senseless beeping during power outages and wouldn't even let me disable it, because, apparently, it knew better. 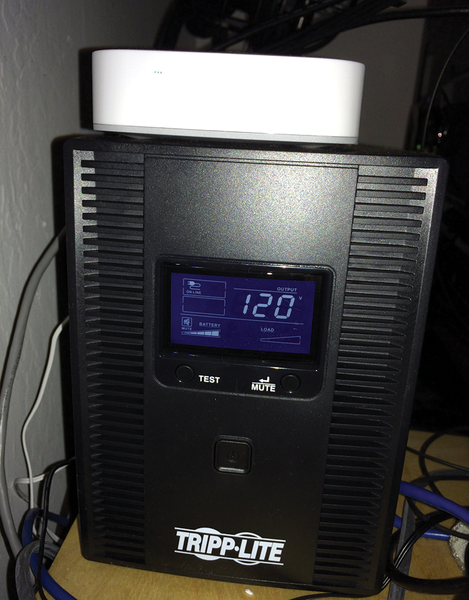 Finally, I grudgingly plunked down $120 for a solidly crafted UPS by Tripp-Lite (Figure 2), which digitally indicates how many minutes of juice are left for battery-backed operation and has a "quiet" key, which ensures that the device does its job without beeping during a power outage. The wonders of technology! Figure 2: The SmartThings hub (top) and the emergency power supply for the Internet connection. As mentioned in a previous article , the SmartThings home automation kit I set up includes a controlling hub and a set of four different sensors and actuators; until recently, it was only available in the United States. In September 2015, a customized version of the SmartThings hub starter kit  for the UK was released for the European market; you can order it on Amazon for about $199 (EUR215/£199). Additional suitable sensors and actuators that support the Z-Wave or ZigBee Protocol are available for about $40 (EUR40/£30). Most of the components in this smart home solution are battery operated; even the controller is battery-buffered, and when the mains voltage goes missing, no further measures are needed to switch seamlessly to battery. Also, my Arlo wireless surveillance cameras  run on battery power, so the UPS only needs to back up the Arlo base station, the router, and the ISP modem. Virtually everything continues running for up to three hours with this simple solution if the power fails. Outages of more than an hour are thankfully rare, even out here in the Wild Wild West.